I love to paint my nails, always have. Something about painted nails makes me feel extra girly. But quite often I don't do them myself because I am a perfectionist and something always happens: either I will accidentally scratch my nail as I'm painting, air bubbles will form as the polish dries or I will just really mess up a nail and not realize it until after everything has dried. So I always figure, why bother? But I have found a top coat that I absolutely love which seems to help fix any problem I create while painting my nails - in one word phrase this top coat is a miracle worker. 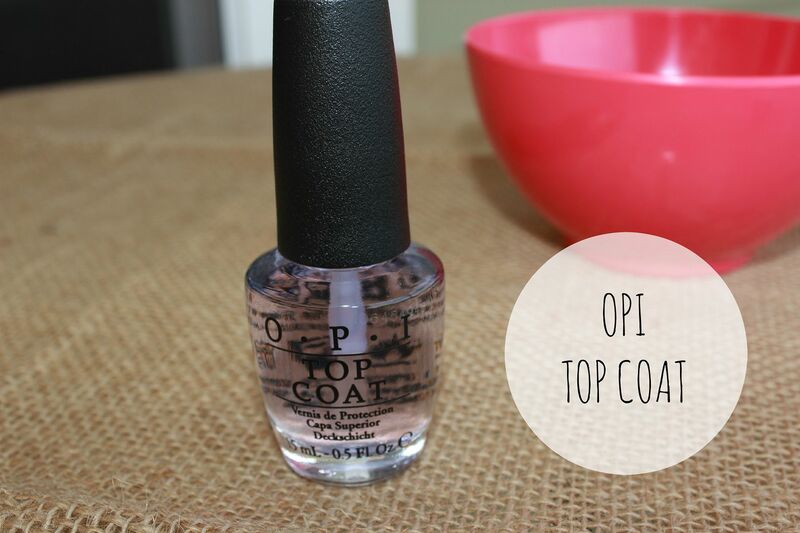 I've tried many top coats before and nothing even compares to OPI's top coat. This top coat gives tons of shine, in fact one of my girlfriends even thought I had gel nails on because my nails were so shiny. And boy does the top coat last. I applied OPI's Tickle My France-y to my fingernails on a Wednesday night and didn't take it off until a week and a half later! I use that too and it's great!! I have been using this top coat for a few year now. I also like the base coat as well. I need to go out and buy more of it.